The VERTICAL TRAVELING COLUMN (VTC) 800/30 SR Vertical Machining Center features a high speed 40 Taper spindle, swivel spindle head (B Axis), full traveling column design and fixed table for machining of extremely long and heavy workpieces. Or with an optional table partition, the long machine table can be transformed into two separate work areas. The Roller Gear Cam design swivel head delivers improved accuracy and repeatability due to the backlash free design, which allows the machining of complex features and contours. These features offer excellent machining capacity for a large variety of work pieces. 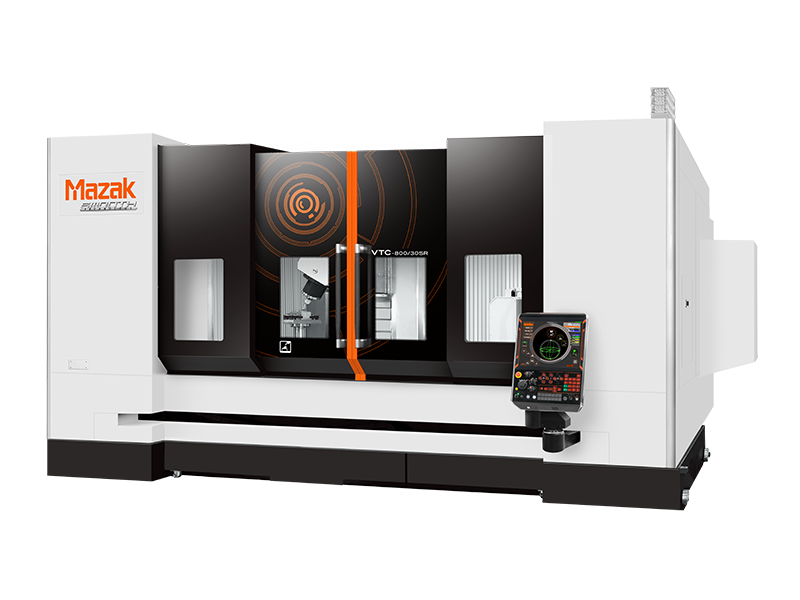 A significant reduction of machining processes and increased productivity can be realized thanks to the additional axis, and when combined with a rotary table, full 5-axis simultaneous machining is possible. The machine also delivers fast rapid traverse rates to reduce non-cut times.